This time of year is so crazy. I love it, and get ready for it year round. No kidding. I’m pretty much a real life Buddy the Elf, and yes, smiling is my favorite, and I like to eat from the four main food groups: candy, candy canes, corns, and syrup. I think Buddy forgot a food group though: hot chocolate. It’s the perfect drink this time of year. 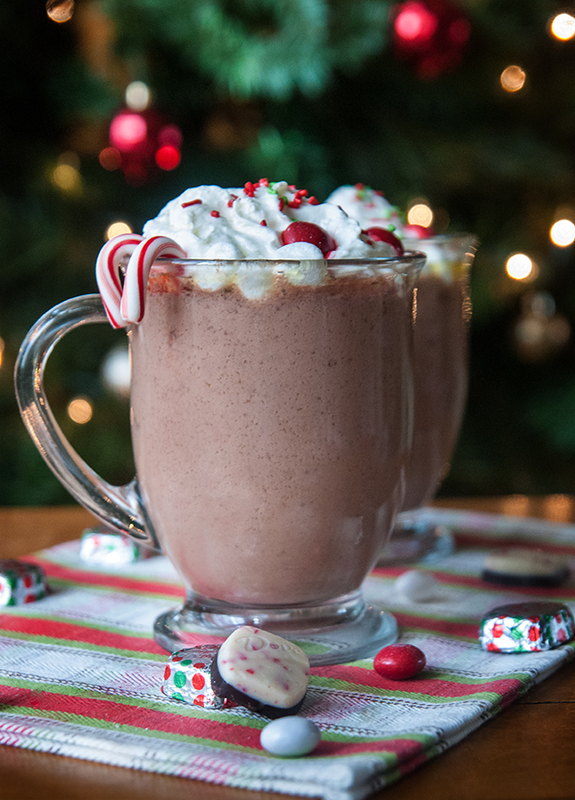 And this peppermint hot chocolate was the perfect way to unwind during a particularly busy holiday season week. I picked up the ingredients while I was trying to check some items of my Christmas present list, shopping at Walmart because seriously, that store has everything. I just threw the ingredients in the crock pot while I was making dinner, stirred it occasionally. Easy peasy. Then after the Goose was asleep, I poured the husband and I each a big cup of it and we sat and enjoyed it cuddled up under a big fuzzy blanket in front of the lit trees. It was like a scene from a Christmas movie. The only thing missing was the snow falling softly outside the window. The hot chocolate wasn’t missing anything though. It was the perfect blend of chocolate and mint thanks to DOVE® Limited Edition Peppermint Bark , which combines rich dark chocolate with white chocolate and crushed mint. I love DOVE® Chocolate. It’s so smooth and creamy. I have a hard time eating just one or two. It’s addicting, especially when you have a sweet tooth like I do. You can find the DOVE® Peppermint Bark and all the other yummy DOVE® candies in the seasonal candy aisle. 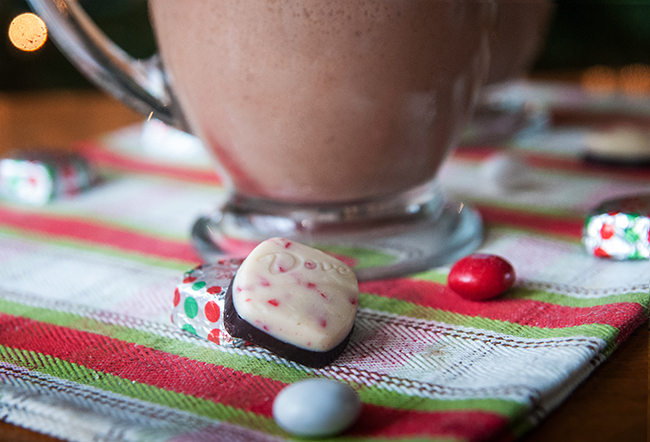 The DOVE® candies should be near the White Peppermint M&M’S® , which make such a fun garnish on this hot chocolate. 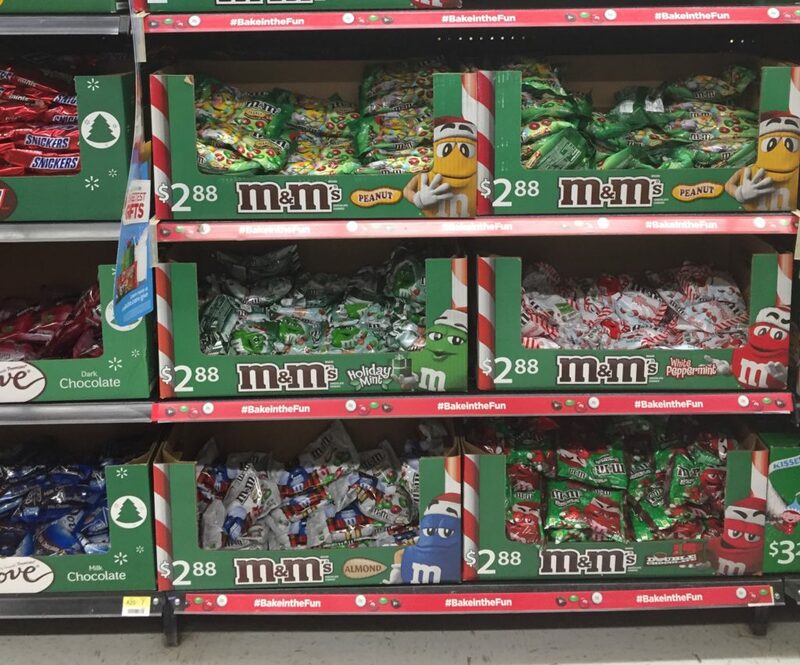 You can find DOVE® and M&M’S® near each other in the seasonal candy aisle. As good as this hot chocolate was to drink, it felt good while I was making it. Not only was I treating my husband and myself to a quiet evening, but I knew my purchase supported the Great American Milk Drive, a an effort between Feeding America, America’s dairy farmers and milk companies to provide milk for families in need. Anytime you buy M&M’S® at Walmart through Christmas, a donation was made to the Great American Milk Drive to provide fresh milk to families and children that would not be able to buy it. This season the Great American Milk Drive will deliver it’s 1 millionth (!!) gallon to Feeding America’s nationwide food bank. For more info on the Great American Milk Drive or to give to this great cause yourself, you can check it out here and check out this video. Plus, you can save some money yourself while still taking part in this wonderful movement. So my good feelings about supporting this great cause made this hot chocolate even more warming on that cold winter night, and made me feel even cozier. My taste buds, soul, and inner Buddy the Elf were all happy. Stir together 4 cups of milk, 1 tablespoon of vanilla extract, and 14 ounces of sweetened condensed milk in a small slow cooker. Add in the unwrapped DOVE® Peppermint Bark. Heat on low for 2-3 hours or until the hot chocolate reaches the desired temperature, stirring occasionally to incorporate the chocolate. Serve hot. 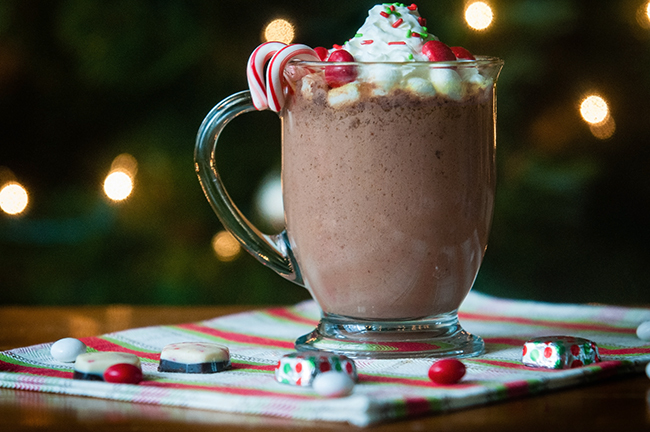 Garnish with mini marshmallows, whipped cream, and White Peppermint Chocolate M&M’S® if desired. *If you want a stronger peppermint flavor, sub the vanilla extract for a teaspoon of peppermint extract. One of our Christmas eve traditions is to watch Christmas movies and drink hot chocolate. But, we have never done peppermint hot chocolate. This sounds delightful, and I love all Dove chocolate. Looks so yummy! Going to make this for the kids the next time they come in from playing in the snow. Ohhh do you have snow? We have only had a little so far but are supposed to get our first good storm this weekend! This would be perfect for Christmas snow!! Ohhh yes a perfect Santa-waiting drink. Maybe you should save a cup for the guy in red? Yummy!! I love hot chocolate and this looks delicious! I’m going to get the stuff to make it tonight! Looks great! Oh, this looks extra good and so festive. 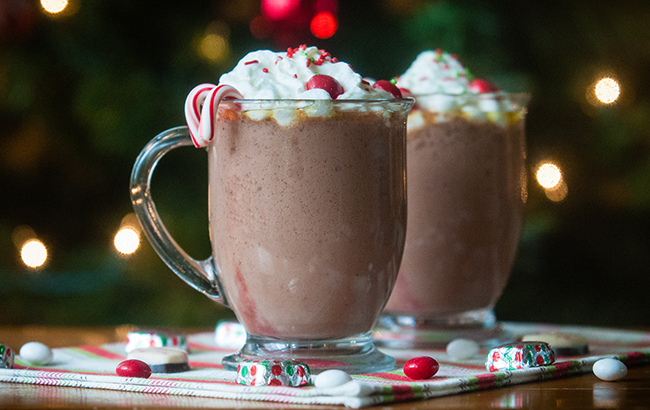 I love hot chocolate around the holidays and adding peppermint is even better. You’ve decorated it so nicely, too. Nice job on the peppermint hot chocolate. It is just perfect for this time of year and guests dropping in. Thank you Mark! It’s always good to have something on hand to offer those unexpected guests, isn’t it? This looks soooo yummy and beautiful! Peppermint is the staple of holiday baking! 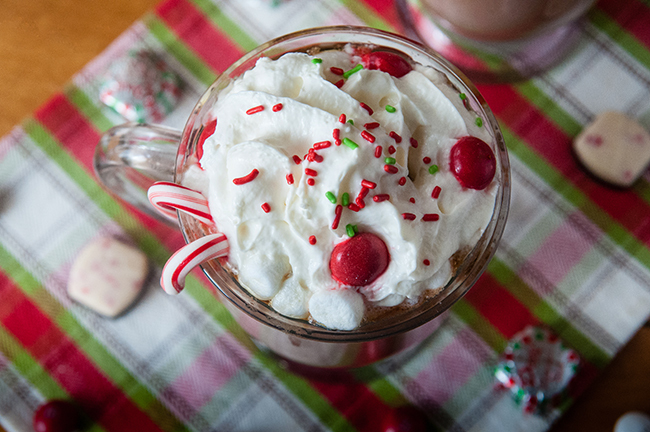 Peppermint + Hot cocoa is a win in my book! This looks simple enough – yum! For sure, peppermint everything at Christmas! It’s super simple! 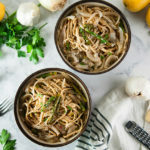 Oh my gosh this looks like such a delicious recipe!!! I gotta try this one out!! The perfect hot, holiday beverage! 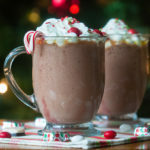 Peppermint and chocolate are my favorite flavor combinations, and I love how pretty and festive this hot chocolate looks. Can’t wait to try this recipe. This looks so delicious! Definitely going to be making it this weekend! I am a HUGE fan of peppermint anything!! I am going to try this. YUM!!! Perfect and decadent hot beverage for a cold day. I could use one right now 🙂 Thanks for sharing! Right? It’s so cold out!! Thanks for stopping by Kristine! Love this! It looks so yummy. Wow, this look so delicious! Also, I had no idea how to make hot chocolate without an instant cocoa packet which probably explains why I’ve never been a huge fan of hot chocolate. I’m going to have to try this. I’m thinking this is going to be a hot chocolate game changer for me! OMG totally. You’ll never go back to powdered cocoa again! 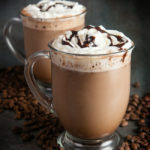 I bet this hot chocolate is so rich and creamy – perfect for a cold evening! 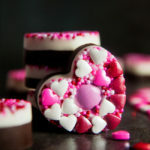 I love the addition of the peppermint chocolate pieces too! Oh my goodness! We’re getting feet upon feet of snow here in Ohio, and this looks delightful! I’m going to the kitchen now to see what ingredients I have! Ohhh perfect drink for all that snow. Yum!! This looks like the perfect treat while the snow is piling up outside! This looks perfect for the holidays! Wow! That looks delicious and perfect for the holidays! This looks so yummy! I have to make during the holidays! Thank you for sharing! This looks delicious! I LOVE hot chocolate this time of year! I LOVE hot chocolate! This looks delicious:) Thank you for sharing! This looks so good! I’ve been craving hot chocolate since I made hot chocolate play dough today for the kiddos. This recipe sounds so incredibly decadent. I love how easy it is too! This looks awesome! My kids love hot chocolate so I will have to try this version! This looks delicious! Can’t wait to try it out. Especially given the very cold weather we are experiencing right now. This looks absolutely amazing! And I could add coffee for some caffeine Thanks lady! Word. Caffeine makes everything better. This looks so good! I love me some hot choc! Yummy this looks and sounds so good!! I love hot chocolate. Wow, this looks amazing! Perfect holiday drink to keep things cozy. Can’t wait to try it! Oh my gosh this sounds perfect! 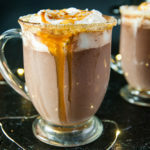 I have been wanting to find a quality hot chocolate to indulge in this season and I think I found it! I love hot chocolate, but I just started counting macros…I really didn’t want to have that much used up on low-quality hot chocolate! If I’m going to indulge, it’s gotta be tasty 🙂 Any idea how this might turn out with almond milk? I have no idea how this would turn out with almond milk tbh. I would imagine it would be good. Could you use chocolate almond milk for extra flavor? Ooooh tough time of year to start tracking macros. I agree. Indulgences need to be worth it. Very festive! We are in the hot chocolate mood after seeing this post! Hope you made some and enjoyed! I love a good homemade hot chocolate this time of year! 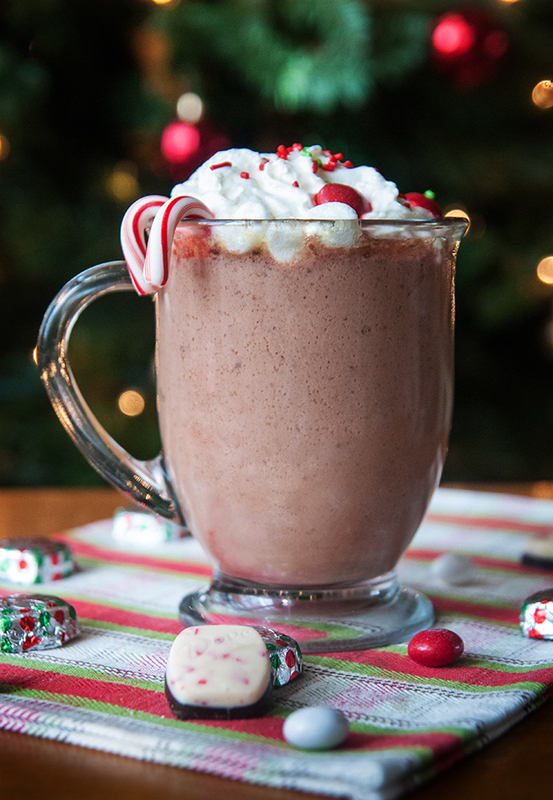 This one looks delicious with the added peppermint, thanks for the recipe! These hot chocolates look amaaaaazing! I love how you garnished them. I never thought to put M&Ms on top. So festive! Haha I won’t tell you how many M’s were consumed in the making of this cocoa! This is a great Christmas drink recipe. Pinning to my Christmas board! Thanks for sharing this! Such a fun festive recipe! This looks like the perfect recipe for the holidays! Thank you! Or all winter long really!